Atlantis Real Estate Sales - Pensacola FL. Atlantis gulf-front condo for sale in Pensacola Florida. 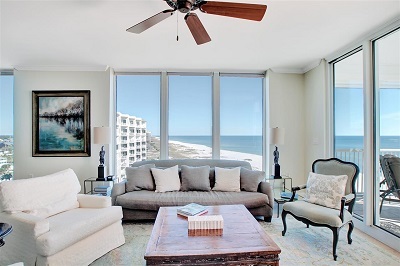 4BR/4BA corner unit has unobstructed majestic views of the Gulf of Mexico! Professionally decorated, rent restricted, low density property - only 2 units per floor. Steps away from the Flora-Bama. Gorgeous master suite and bath. The unit has 4 large bedrooms each with own bath and water views. Private elevator opens up to foyer boasting beautiful travertine flooring. Also contains a wet bar complete with ice maker, granite counter tops, automatic hurricane shutters, exquisite furnishings and art work. Come see this luxury home today!.